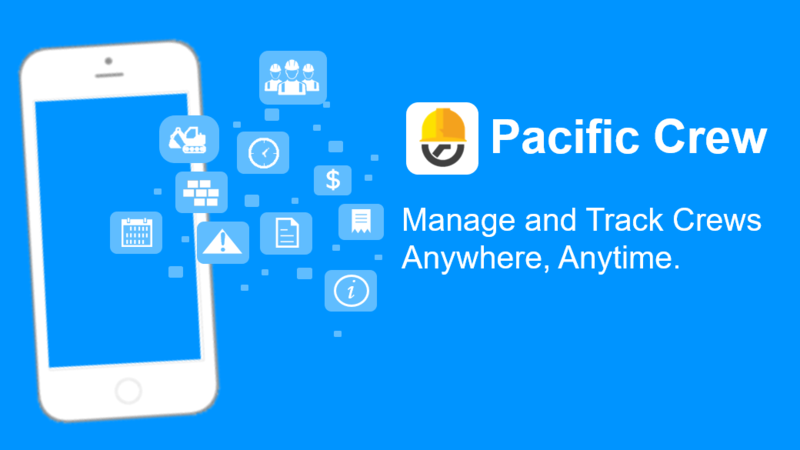 Pacific Timesheet has just released Pacific Crew for Mobile which allows your users to manage and track crew time, expense, assets and logs online or offline. Pacific Crew for Mobile is for the iPhone and Android smartphones. Pacific Crew for Tablets is for IOS tablets like the iPad or iPad mini and various Android tablets. In our design and engineering, we have used a "mobile first" approach for Pacific Crew, completing what we think is a superior mobile app design. We chose a mobile first approach for couple reasons: 1) mobile app design is generally more difficult because navigation and user interface must be clean, economical and intuitive. It must do a lot more with less of everything, and 2) through the crucible of our significant mobile first effort, as we hoped, it's created several innovative Pacific Crew features that you will soon learn about. Many customers have asked questions how to customize Pacific Timesheet translations for key terminology. You can translate key terms in Pacific Timesheet such as "Leave," "Work," Project," and more for any locale/language setting. 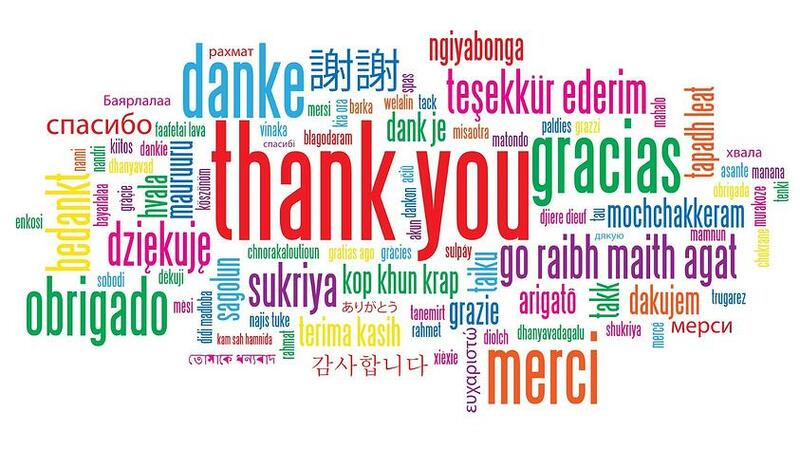 Remember that you can assign any of up to 150 locales/languages to employees in your system. Ready to integrate Pacific Timesheet with Azure Active Directory? Pacific Timesheet, a long time Microsoft Partner, and Microsoft have announced that Pacific Timesheet now has a Microsoft-certified integration with Azure Active Directory. With software, you want your data to be the star, not unimportant design elements that are distracting to the eye. 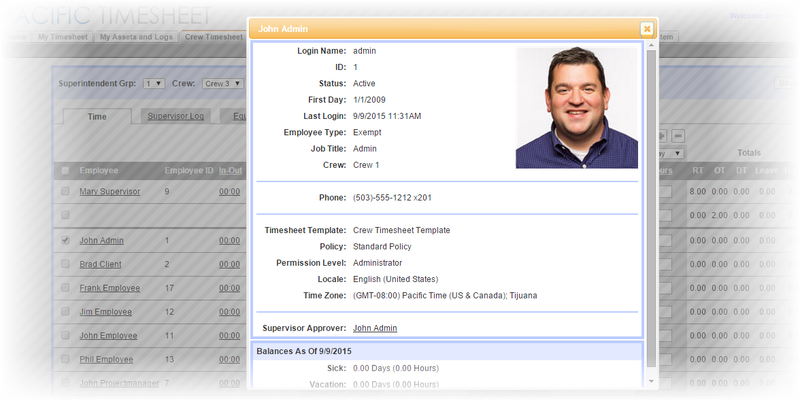 In January 2016 we are updating Pacific Timesheet’s UI (user interface). While your systems will look a lot nicer and be more pleasing to the eye, there are some important technical and usability reasons for the update. Employee picklists used to select employees for groups, crews, and security permission assignments for projects, tasks, groups, etc. 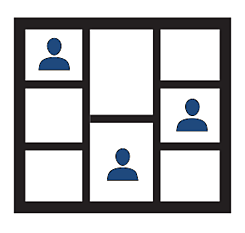 Employee mini-profiles available in employee timesheets, crew timesheets, and thumbnail photos on approval dashboards, time off requests, and email notices. Pacific Timesheet is one of many application services that can connect users with SAML 2.0-based single sign-on and identity management services at your organization. If your organization is already using single sign-on this way, or if you plan to, this article is for you. 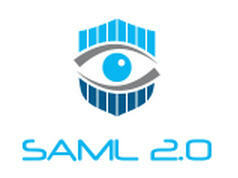 SAML 2.0 allows user authentication and single sign-on so users can gain easy yet secure access to your enterprise applications, whether they are inside your network or in the cloud. And it's something you're going to be hearing more about in the years to come. This non-technical SAML 2.0 primer will give you the basics for when this comes up at the water cooler or in management meetings. SAML or Security Assertion Markup Language allows users to authenticate one time to a home network (or in SAML-speak an “Identity Provider”). With that one login the user can gain access to as many applications (“Service Providers”) as they are permitted without having to login again. Simple, sweet and magical, right? An enhanced reporting set allows you to report on hours or employee full time equivalent (FTE) allocation by project, cost center or other objects. They are located on the bottom of the reporting tab page in the "Other Reports" section. Pacific Timesheet's analytics and reporting engine allows you to easily distribute or "publish" a configured report to various users in your system. A published report is an already-configured report which a user can run to report on data they have access to. Pacific Timesheet's approval dashboard allows approvers to approve or reject individual employee timesheets. It also allows payroll management and system administration users to mass approve or submit employee timesheets. Customers have requested that the information columns in these dashboards be customizable, perhaps to provide more information when trouble shooting approvals.